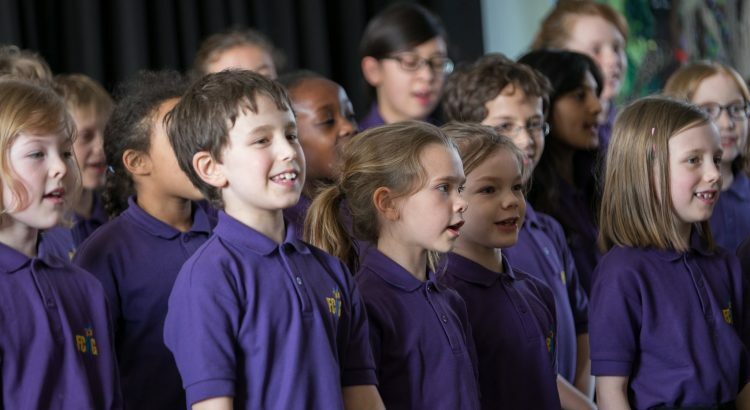 Finchley Children’s Music Group is a charity whose purpose is the promotion of singing and choral training for children aged 4 – 18 in North London. FCMG seeks to give all children a safe, happy experience that challenges and develops their skills as part of the FCMG choirs, performing with excellence and learning with excitement. FCMG is registered with the Charity Commission and is governed by a Board of Trustees, most of whom have (or have had) children in one of the FCMG choirs. The choir is largely run by a group of volunteers and relies on the generosity of individuals charitable foundations and trusts and businesses to continue our work. If you would like to support us then you can do so through theBigGive.org.uk. You can also support us through easyfundraising, where you can collect free donations for us every time you buy something online. FCMG would like to thank The Black Heart Foundation for their very generous donation in 2017 of £1000 towards our bursary scheme to allow our financially less able children to continue to enjoy the extraordinary opportunities FCMG offers.